How do you expand an hour of content to fill a two-hour finale? Filler, filler, and more filler. 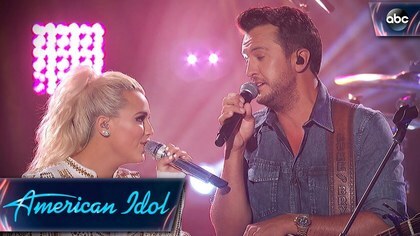 The American Idol Season 16 (Season 1 on ABC) finale was a whimper compared to the truly spectacular season capper’s during the show’s prime. That doesn’t mean it wasn’t still a lot of fun—and, most importantly, it was highlighted by some moments of genuine emotion. 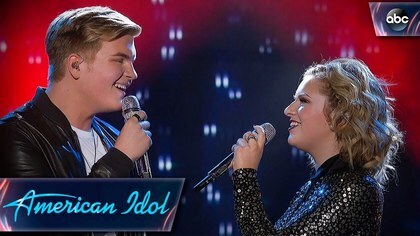 The revelation of the romance between Top Two contestants Maddie Poppe and Caleb Lee Hutchinson had the feel of a fairy tale, almost too good to be true. And, of course, the underdog victory of the season’s most modest performer elevated this new season to the level of the show’s peak years. 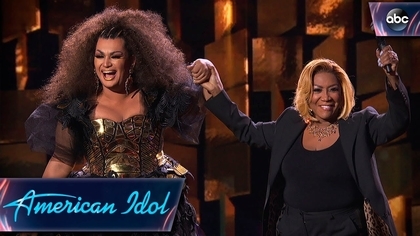 By far the best duet was Ada Vox and Patti Labelle who shook the auditorium to its foundations with “Lady Marmalade.” Ada reminded us that in terms of powerhouse vocals, there was no one this season who could hold a candle. As for cuteness, nothing rivaled the surprise appearance of Leann Rimes, who took country gal Layla Spring and her little sister Dixie’s breath away. Clearly unstaged, the sisters were genuinely shocked that their rendition of “Blue” became a trio performance. 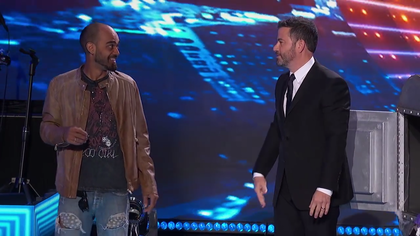 And, as with Idol finales past, there were oddball moments. Noah “Wig” Davis was presented with an alpaca named “Laurel or Yanny.” Noah seemed to have figured out where they were going with the bit before the animal was revealed, as he was more intent on emphatically stating that the much-debated viral recording is, in fact, “Laurel.” Are they really giving him that alpaca? My guess is that it’s more of an honorary thing. 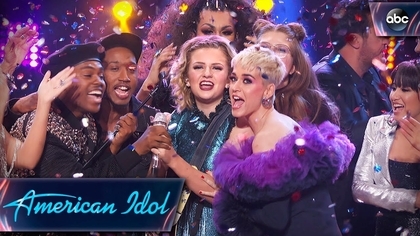 But the night belonged to Maddie Poppe and Caleb Lee Hutchinson (whose dead-on Lionel Ritchie impression was among the show’s highlights). They duetted sweetly on a medley of “Over the Rainbow” and “What a Wonderful World.” They were presented with a Hawaiian vacation—Ryan tried to goad them into using their plus-ones to invite the “other” Idol couple Gabby and Cade (they didn’t take the bait, with Caleb assuring everyone they’d invite their parents along to “supervise”). Maddie, clearly overcome, barely made it through her coronation performance of “Going, Going, Gone,” but the rest of the Top 10 (and even Katy Perry) helped her get through it. Couldn’t have asked for a more emotionally honest conclusion. Good luck to Maddie, who will be on tour with the rest of the Top 7 throughout the summer.